In the old days of traditional publishing, if you were lucky enough to have your manuscript accepted by a publisher, you didn’t have to worry about editing. That part of the process was taken care of by half a dozen staff editors who would pay meticulous attention to detail through all levels of editing before your manuscript went to press. There were rarely mistakes in books in those days. Yes, those were wonderful times for the chosen few authors who managed to find a publisher. Today, things have changed dramatically in the publishing world. Even if you’re fortunate enough to find an agent and/or secure a book deal with a major (or minor) publishing house, you’ll often still be expected to have had your manuscript edited—at your expense. Agents are far more likely to take a manuscript seriously if it has already been professionally edited. Big publishers and small alike do not have time, money, or staff to give your manuscript the editorial attention to detail it might have received a few decades ago. And if you’ve decided to self-publish, editing is essential. Particularly if you’re self-publishing, you can’t afford not to have your manuscript edited. With so many self-published books on the market, quality is vitally important if you want to be competitive. The top complaint in Amazon reviews of self-published books is the lack of professional editing. Good editing is one of your best marketing tools. 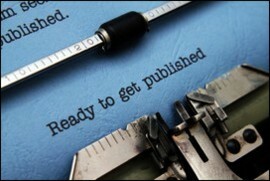 Following are the basic steps in the editorial process, including all the steps involved in the publication cycle if you’re self-publishing. Some or all of these steps may or may not apply to you, depending on the nature of your work and your budget. If you’re seeking an agent, you’ll work through just the first steps with an editor before submitting your manuscript. Your book manuscript is complete, you’ve self-edited it, and you’ve selected a professional editor to work with. (See my page on How to hire a freelance editor.) At this time, if you’re self-publishing, you may also want to find a book designer for your cover and interior pages. You work with your editor to determine the type of editing required. You may wish to begin with a manuscript evaluation, which is not an edit but a read-through and critique of your work’s strengths and weaknesses. Or you may need developmental, structural, stylistic, or copy editing or a combination thereof. Or perhaps your editing has already been completed by another editor, and you simply require a proofread. Copy editing is most often requested from the spectrum of different types of manuscript editing. Click here for complete definitions of these editorial tasks. If you’re self-publishing, at this stage you’ll probably want to work with a book designer to create an appealing cover design and interior page design, as well as to determine the viability of other aesthetic elements such as a press logo and promotional materials. A good designer will also help you acquire an ISBN number and assist you with the details on the copyright page (cataloguing-in-publication or CIP page). The revisions stage is very important. You’ll approve and incorporate the editor’s changes and corrections, and make revisions as suggested by your editor. Together you and your editor will determine if a second editing pass or partial second pass to review your revisions would be a good idea. If so, the editor completes the second editing pass, returning it to you again for approving and incorporating the changes and making further revisions. At the end of the process, you accept all changes and comments, creating a clean document. If the editing has been done manually, on paper, either you or your editor will need to type the corrections and changes into the electronic document. I don’t fully recommend this process, as my experience shows that the chances are high of introducing additional errors into the final manuscript. However, you may feel more comfortable with choosing this method. If your manuscript is going directly to e-book format, you’ll now work with your e-publisher to upload your document into the correct file format. You will want to proofread for any formatting issues such as bad word or line breaks. If your manuscript is going to print, the clean MS Word file is now sent to your book designer, who prepares the design and layout and does the typesetting, usually in a professional layout program called InDesign. The result of this work is the page proofs, which are saved as a PDF file. If you are working with a publishing services company, they will often do a basic cover and interior page layout for you, but make sure they are using a professional layout program like InDesign, and not MS Word. Interior page design can be done in MS Word, but the result is amateurish. It shouts “self-published!” in a negative way. Your editor or another editor or proofreader proofreads the PDF page proofs, using similar markup tools as those in MS Word, and checks for any remaining errors, inconsistencies, and layout problems. A proofread is a good idea because errors can still exist in the manuscript in three ways: 1) residual errors may be left over from the editing process that the editor didn’t catch, 2) new errors may have been introduced by the author in the revisions process, and 3) errors may have been introduced in the typesetting process like weird line breaks, missing italics, an unintentional change in font size, or mixed up headers and footers. The proofread proofs are reviewed and approved by you. Your book designer inputs the changes to the proofs, then sends you a mock-up for your final approval. Your manuscript editing, design, and proofreading are complete, and your professionally edited and designed book is ready to go to print.